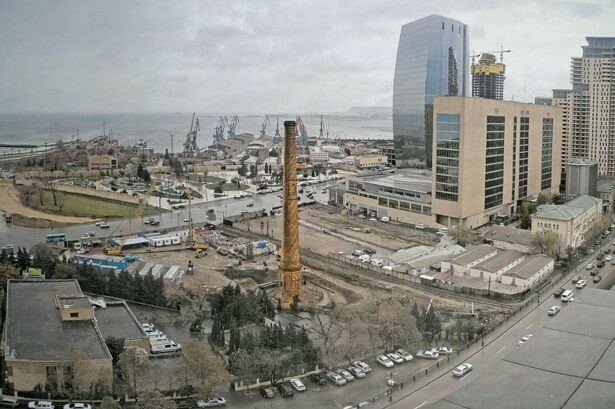 A demolition-threatened historic chimney in the Azerbaijan capital of Baku will now be the centre point of a multi-million pound new shopping complex thanks to the innovation of a Newport-based structural engineering firm. Cintec™ International has been commissioned to carry out complex structural preservation work on the chimney later this year in a £1m contract. Built in the 1900s the feature as the focal point of a regeneration project to establish Baku as an up-and-coming centre of commerce and technology. 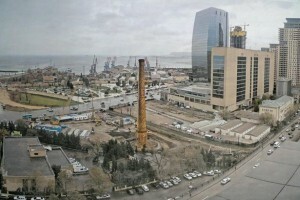 Original designs for the development, which will be called The Twin Towers of Port Baku, planned to have the chimney pulled down to make way for the modern shopping complex. However, when the President of Azerbaijan saw the plans he requested that the historical chimney be restored instead and become a central feature of the development. 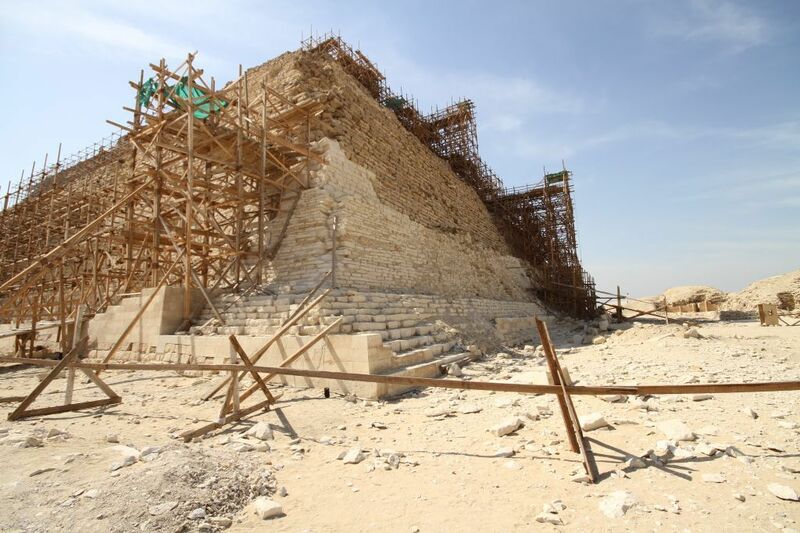 Welsh engineer, Peter James, suggests ancient Egyptian builders created the Great Pyramids with construction practices still applied today. James, the managing director of Cintec™ International in Newport, Wales, has worked with the engineering firm restoring historical buildings in Egypt for 18 years, including mosques, temples, and both the Red and Step Pyramids. The latter was the first high-rise structure built in ancient Egypt and stands at 62-m (203-ft) tall. For centuries, the pyramids have been an object of wonder due to the size and ingenuity behind them, and James has created a new theory on how they were constructed. Patented anchors from Cintec™ International were used in the restoration of Astley Castle in Warwickshire after company representatives teamed up with architects and engineers from Mann Williams and Newport-based Protectahome. The first phase of restoration included structural repairs and stabilizing the remaining walls of the building prior to rebuilding. Cintec™’s anchors were used to stitch together and strengthen the walls.